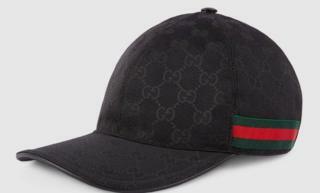 A gang stabbed a teenager in the leg and hit him over the head with a stick as he tried to stop them stealing his £200 Gucci cap. The 17-year-old was with friends when he was approached by six men on the cycle path on Basselton Lane, Thornaby, at about 20:10 GMT on Monday. One of the men asked for a cigarette before another snatched the cap from the boy's head and ran off. Cleveland Police said the boy chased them but was then attacked. A spokeswoman said the victim was pushed to ground and heard one of the group shout "stab him" during the attack. He under went surgery at the University Hospital of North Tees. The main suspect was described as a white male, about 17 years old, 6ft 3in tall (1.9m), of skinny build, and wearing a black balaclava, shiny black Moncler bodywarmer and dark bottoms. He was carrying a large stick. The stolen cap was black with three green and red stripes on each side.